Thursday, May 2 | 6:30 p.m.
Dinner includes three courses plus coffee and tea. Jacket required for men; no jeans, please. Dr. Mohit Bansal is an Assistant Professor and Director of the UNC-NLP Lab (nlp.cs.unc.edu) in the Computer Science department at University of North Carolina (UNC) Chapel Hill. 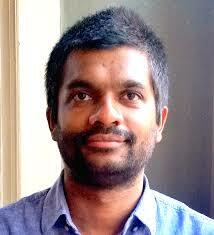 Prior to this, he was a Research Assistant Professor (3-year endowed position) at TTI-Chicago. He received his PhD from UC Berkeley in 2013 (where he was advised by Dan Klein) and his BTech from IIT Kanpur in 2008. Dinner at The Carolina Club begins at 6:30 p.m. (unless otherwise noted) and includes three courses plus coffee and tea. Lunch begins at 12:00 p.m. Jacket required for men; no jeans, please.